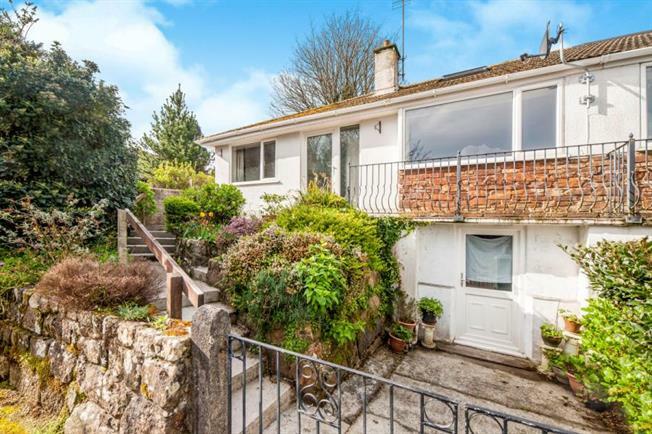 3 Bedroom Semi Detached Bungalow For Sale in Penzance for £255,000. OPEN HOUSE EVENT SPECIAL PRICE 27th-28th April. REDUCED from 260,000 for the EVENT DATES ONLY. Please call for details and VIEWINGS CHAIN FREE - 'Woodfield' is nestled along a peaceful cul-de-sac and offers three double bedrooms. This semi-detached home is arranged over two floors and benefits from uPvc double glazing, parking for a small vehicle and workshop along with attractive gardens to both the front and rear. The home is warmed via a gas central heating system with accommodation in brief comprising lounge, kitchen/dining room, bathroom, conservatory and two bedrooms to the ground floor with the remaining bedroom occupying the first floor. As property in this location rarely graces the market an early inspection is highly recommended to avoid disappointment.